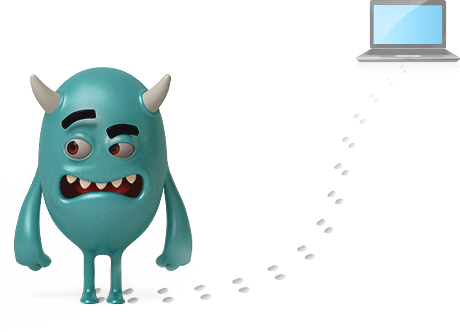 Many malicious programs leave infection markers on the endpoint to avoid infecting it twice and risk operational issues and detection. Deploying these infection markers on an enterprise-level is challenging to scale and can be intrusive on the endpoint, potentially impacting the system’s performance and conflicting with other security tools. 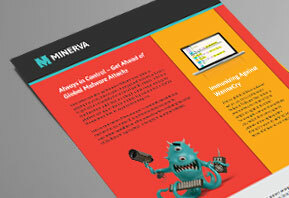 Minerva Labs' Endpoint Malware Vaccination enables incident response teams to immunize endpoints in seconds and neutralize attacks. By simulating infection markers, rather than creating them, Minerva contains outbreaks that bypass AV tools, without impacting performance. 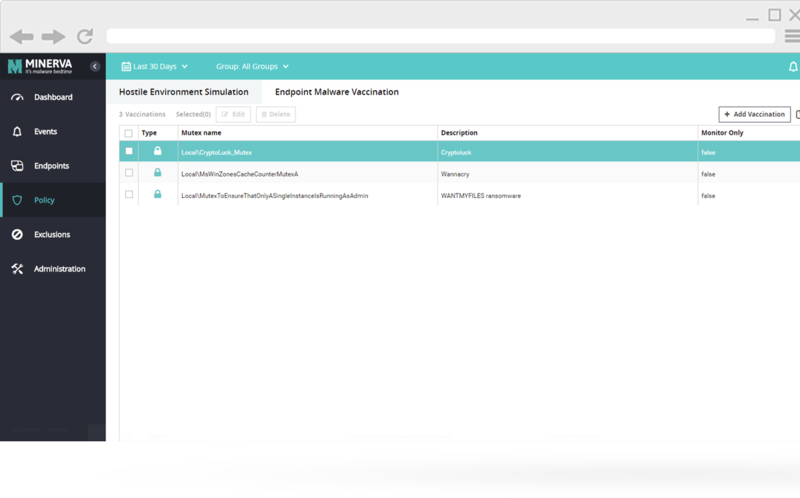 Easily deploy infection markers on an enterprise-level. Protect memory space of non-malicious applications. 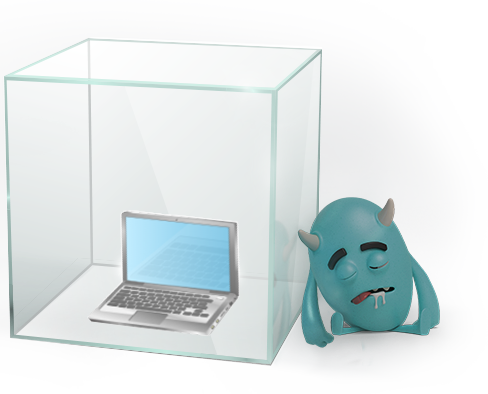 Address the gap in coverage left by other anti-malware products. 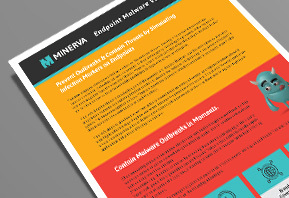 When a global malware outbreak occurs, Minerva’s Endpoint Malware Vaccination can preemptively vaccinate all your endpoints, protecting your organiztion from global outbreaks. For example, companies could have vaccinated themselves against variants of the highly-prolific WannaCry worm by defining a mutex-based infection marker.